Free Shipping at Blades and Blasters! Limited to the first ten customers sing the code – first come, first served. Hi everyone this is my first post on this site as a Trader member and it was suggested that I make an introductory message to inform you all of just exactly what it is we do here at Vanguard Miniatures. 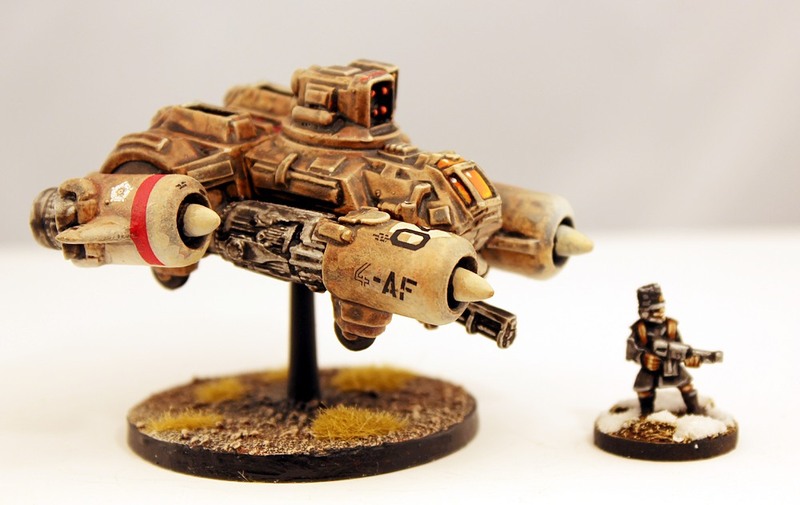 I am a UK based retailer of small scale sci-fi miniatures in the following scales, 3mm, 6mm and 15mm. As well as my own ranges of figures under the Defeat in Detail label I import Onslaught Miniatures from the USA and other related products from various international sources including Wasteland Game Studio and Gregster's Lab. Another of my own product ranges are the very popular gothic style starship models usable with many of the fleet action rule sets available out there. 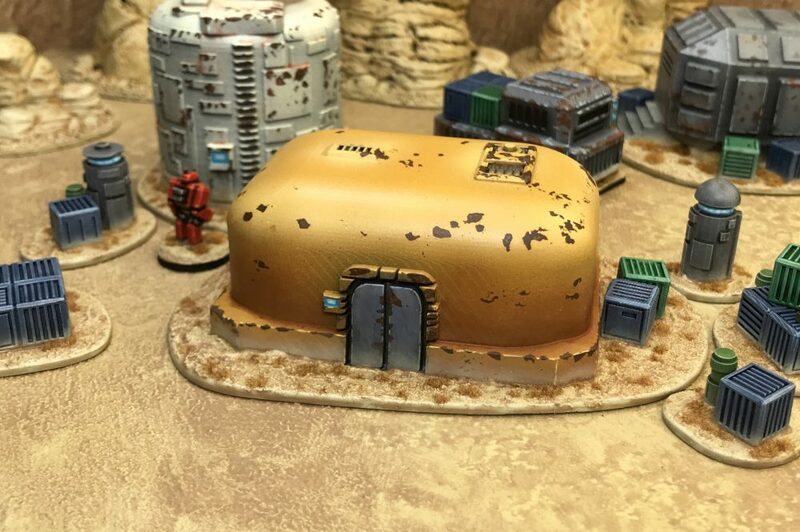 Other products also stocked here at Vanguard from my sister company Troublemaker Games include 15mm and 28mm sci fi figures and the very popular plastic modular building tile sets viable for use with our various scale miniatures. Of note here is that these tile set will be expanded upon via a new Kickstarter campaign due very soon now. I hope you find our products of interest, kind regards John. The Ion Age makes its new release for the month today with the mark two Skylark Patrol Flyer a cracking 15mm kit good in any futuristic setting. As the March to War event is on just now we have 25% off this new kit plus free shipping worldwide (orders of 20GBP or more) plus other offers. Click through to read and to see more. Thank you as always for supporting my little Ion Age. 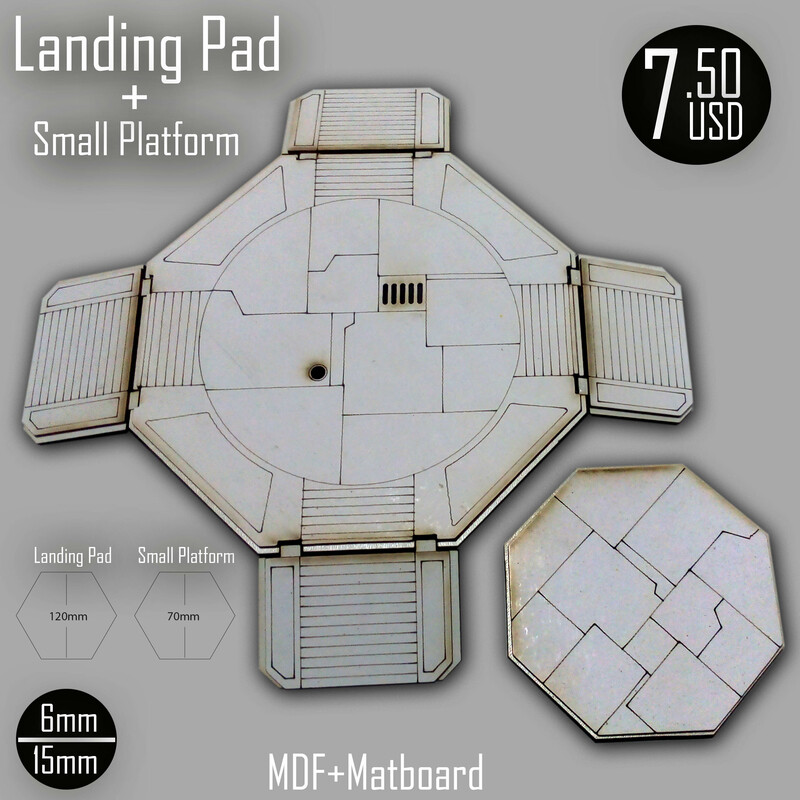 Landing pad for 6mm and 15mm game tables.